The M.A. in Financial Planning & Law, offered completely online (with select on-campus course options in Virginia Beach), will prepare you to sit for the CFP® Certification Examination. Through this financial planning degree, you will learn to guide individuals and corporations through the intricacies of managing wealth. This comprehensive wealth management program is uniquely housed in Regent's School of Law and gives you access to our Juris Doctor program estate planning and tax experts. You will enjoy coursework integrated with a Christian perspective and grounded in legal thought, writing, and critical thinking to help you gain a competitive edge. Earn your M.A. in Law credential in just five semesters with this practical alternative to the on-campus 3-year Juris Doctor degree. Learn from one of the first law schools to offer a Certified Financial Planner (CFP®) program designed to help you attain eligibility for the exam. Enjoy challenging topics such as insurance law, contracts, tax planning, estate and trust administration, and financial and portfolio analysis. Demonstrate proficiency in financial and portfolio analysis, including establishing investment objectives and evaluating performance. Apply your knowledge of contract law and insurance law and planning. Demonstrate proficiency in the fundamentals of estate planning, including property transfer, IRAs and retirement plans. Research American law, including cases, and statutes. Ideal candidates for this program include trust officers, realtors, stockbrokers, and members of the financial services industry. Career switchers are also welcome. Development of the scholarly writing skills of entering graduate students, including consistent standards in grammar and punctuation, academic style, avoiding plagiarism, and learning to critique academic works. Principles of risk, return, liquidity, horizon planning, inflation, and taxation applied to personal financial planning of discretionary income, saving, credit, investing, and retirement planning. Analyze the financial model and operating performance of a company compared to its competitors and market trends to determine the attractiveness of an investment in the company. Managing financial assets by establishing appropriate investment objectives, developing optimal portfolio strategies considering, risk-return tradeoffs, investing the assets, and evaluating of investment performance. Includes choosing stocks or bonds for a style-specific portfolio as well as setting an asset allocation across asset classes and choosing managers for each. (1) The philosophical and theological sources and nature of American law and justice; (2) the role of lawyers in the American justice system; and (3) jurisprudential thinking about what lawyers do, including select substantive legal issues. Common law of contracts, and the principles controlling the formation, performance and termination of contracts (offer, acceptance, consideration, conditions, material breach, damages, third party beneficiaries, assignment, statute of frauds and statutory variances from the common law). Cross-listed with GOV 618 and EHEA 506. Considers principles of risk and insurance, income taxation and business use of insurance, analyzes and evaluates risk exposures and insurance needs, and the selection of insurance company and policy; finally, examines the following forms of individual insurance; life, long-term care, disability income, health insurance, and annuities. Focuses on communicating with a counseling financial planning clients; discerning client and planner attitudes, values, biases and behavioral characteristics; and learning the Certified Financial Planning Board’s Code of Ethics and Professional Responsibility and Rules of Conduct, Disciplinary Rules and Procedures, and Financial Planning Practice Standards. Fundamental areas of estate planning, which include methods of property transfer at death, characteristics and consequences of property titling, incapacity and elder law, powers of appointment, fiduciaries, sources of estate liquidity, use of life insurance in estate planning, estate planning documents (including wills and trusts, and planning for non-traditional relationships), IRAs and retirement plans, income in respect of a decedent, the types, features, and taxation of trusts, qualified interest trusts, charitable gifts/transfers and gifting strategies, marital deduction, intra-family and business transfer techniques, deferring and minimizing estate taxes, generation-skipping transfer tax, federal estate and gift tax compliance and tax calculation, and postmortem estate planning techniques. Prerequisites: FNCE 652, MLAW 542, MLAW 543, and MLAW 670. Involves case analysis and the integration of financial planning, insurance planning, investment planning, taxation, retirement and employee benefits, and estate tax planning in comprehensive personal financial planning. Students will learn how to manage case scenarios to identify issues, analyze client financial situations, and make and implement recommendations. Prerequisite: UNIV 500 as required for admissions. Prerequisites: MLAW 542, MLAW 543, MLAW 544, MLAW 670, FNCE 652, FNCE 653, and FNCE 654. American legal system and the skills necessary to succeed in that system, including reading cases and statutes, analyzing legal issues, and researching selected topics of American law. Considers the fundamentals of personal, business, and trust & estate income tax law and tax compliance, including basis, tax consequences of property sales, alternative minimum tax, passive activity and at-risk rules, charitable contributions and deductions, tax reduction techniques, and the tax implications of special circumstances. Note: On-campus international applicants must meet a fall semester application deadline of February 15 with an academic acceptance deadline of March 15 or a spring semester application deadline of June 15 with an academic acceptance deadline of July 15. Regent Law admits students with academic promise and calling who are serious about the critical roles they will assume upon graduation. If you have decided to earn your master's degree in law, we make applying to graduate school easy. The admissions committee seeks applicants who will bring a range of backgrounds, experiences, and perspectives to Regent University's School of Law. The M.A. 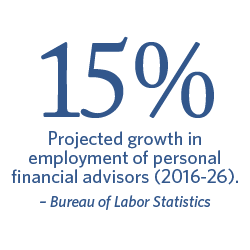 in Financial Planning & Law program seeks highly motivated students and professionals who appreciate the educational benefits and professional development opportunities a graduate legal-based education offers. Each of the following will be evaluated to assess an applicant's potential for success in the program. Applicants should possess a bachelor's degree from an approved college or university prior to beginning their legal studies. The admissions committee does not recommend any single major or undergraduate field of study, but welcomes majors ranging from political science to engineering, and from biblical studies to psychology. LSAT and GRE not required for admission to our program. Admission decisions are made on a rolling basis, with most applicants being notified within two weeks of the date that the application and all supporting documents are received by the Admissions Office. Unofficial transcripts from a U.S.-based school, indicating successful completion of a bachelor's degree program, can be used for an admissions decision. Email your unofficial transcript to transcripts@regent.edu using the subject line: LAW Master's Application Pieces. *Upon conditional acceptance to the program by review of unofficial transcripts, Regent University's Admissions Office will attempt to obtain your official transcripts from your U.S. degree-granting institution, which indicate successful completion of a bachelor's degree program. We will notify you if your previous institution will not release transcripts directly to us. Email your resume to apply@regent.edu using the subject line: LAW Master's Application Pieces. Visit the International Students Admissions page for additional admission requirements and to determine if you qualify as an international student. View estimated Cost of Attendance. *Rates are subject to change at any time. "And I'm honored to be where I am right now. The Museum of the Bible and Regent are a big part of that." "The program at Regent is incredibly rigorous — but it's just a wonderful environment to learn and grow, and it's been invaluable in my life." “Regent attracts very talented students, and I was continually challenged by the academic excellence and career ambition of my classmates." "Regent prepared me for steps I needed to take to start a business, as well as to lead one."